What do you think the biggest threat to your business is? Is it your competitors? Is it technology? Gentrification? Lack of customers? There are plenty of huge threats that could face up to a business of any size. Threats that can limit a business’s business. Threats that could knock a business out of business and threats that could make business life pretty tough indeed. Success is actually one of these threats, believe it or not. If your business isn’t ready for a boom in business, it could seriously suffer. If supply cannot meet demand, people will forget about your business and move on. You might not want to believe it, but if your business isn’t ready for success, it will suffer. Not acting in the correct manner when your business is experiencing success could be something that sinks your business. If you’re doing all the right things except preparing for increased business, you might be preparing for a disaster. Being strangled by success? It is best exemplified by the ‘slashdot effect‘ or ‘slashdotting’. The name of this issue actually comes from the fact that the site Slashdot.com would link to websites and shut down back in the mid 00’s. This happens when a big website links to a smaller website, which will obviously lead to a potential overload for the smaller site if traffic spikes. When the traffic spikes because of the link between a large site and a smaller site (your business will almost always be the smaller site – compared to Reddit and big news sites of course), this can overload a site causing it to slow down. The worst case scenario? The site will shut down and become unavailable because of the overload. The name of this issue can change – depending on the site that links. It can be known as the Reddit effect, being ‘Drudged’ or being ‘farked’. The problem here is that plenty of sites simply cannot keep up with the huge spikes in traffics that come from being linked – this is because it can happen out of the blue. A failure here can be caused by a lack of bandwidth, poor servers, a lack of server space, a poor host, higher than expected traffic and high requests. How can this happen to you? Well, if a big site or blog (especially one like Reddit that consists of submissions from users) submits a story that focuses around you, your products or your business and includes a link to your websites, that can mean a huge rush of readers might click onto your site at exactly the same time. This flood can really push your servers to a limit and might just bring your site down. This is bad news, especially when you consider the fact that most of these readers will simply click onto your site out of interest, rather than a desire to do business. When this happens, and a site cannot cope, the site is unreachable. When this happens, your website cannot do business. While you should cherish the attention, the viral nature of the internet, linking and sharing means it could come at an unexpected time. If you’re unprepared, you’ll miss out. How do you combat the ‘hug of death’ then? Well, you need to prepare for it. If you’re aiming high, you must be considering success at some point. Even if you don’t hit those heights, it is always worth laying the groundwork in advance. If you fail to prepare, you’ll be preparing to fail! Always prepare for the best and worst case scenarios and you won’t be caught short, will you? If you’ve got no plans in place, you’ll have to improvise – if there is something we want to avoid in the world of business, it is constant improvisation. It’s a valued skill, but not in this area. If you believe your site might go viral, or be linked to by a bigger site – you need to lay the groundwork right now. That groundwork? It is all in your web hosting. Websites are not unlimited in the space that they have available. 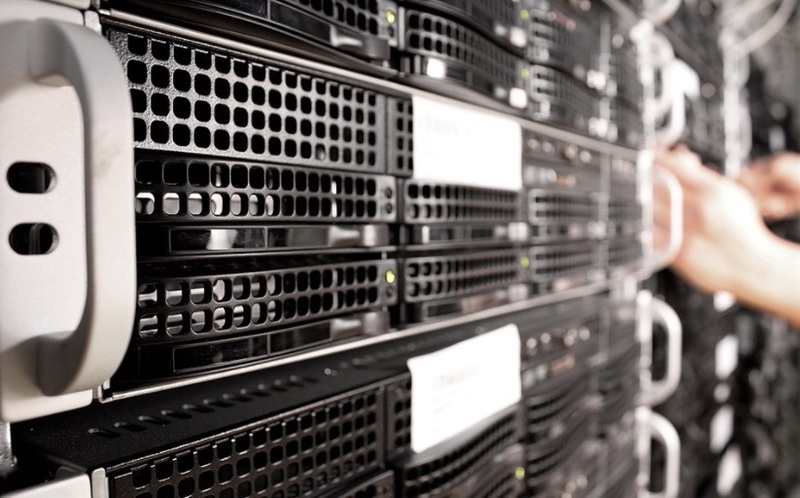 Server space and online hosting bandwidth dictate the amount of room available to an online website. This isn’t physical space, but it very much is physical in theory. It works the same as a store in a mall – you can only hold a certain amount of customers before things get packed, then a line needs to form outside of the store, allowing one person in when one person leaves. This is very much how online sites work – you have your server space and bandwidth allowance, and that’s the digital space you have available. If you exceed this, the site suffers. If you experience an issue, you need a web host that acts fast. One where you can call up and ask for space to meet the demand and get your site fixed up fast. If you’ve already got a great host, good for you! If not, check this out of the best web hosts UK list on MangoMatter so you can upgrade your host and get the best storage on offer. Your website will suffer if you don’t have a flexible and active host, and unfortunately plenty of businesses have learned that lesson the hard way. As a business in the online world, you always need to be on your toes. If you’re appealing to people and attracting attention, you need to be prepared for any eventual boost in traffic. You do not want spikes in online traffic to knock you offline. It’s not just worth thinking about! Being knocked offline at a critical time can leave you left behind, and not in a position to capitalise on intense interest in your business and online efforts. Your success in business is often dependant on your ability to adapt. When your business is the focus of an online frenzy, will you sink or will you swim? Always try to adapt to an ever changing landscape and always try to put yourself in the best position possible. Maximizing Profits: Is Your Business Making The Most Of Modern Technology? Are You Getting A Good ROI From Your Marketing Agency?